The Broad recently added 700 square feet to its spot in Monroe Ward. Photo by Alexis Courtney. The city’s newest co-working venture has added more space just off Broad Street. 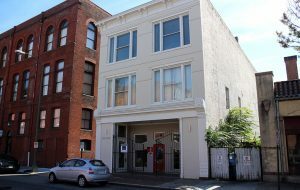 The Broad, which opened in February at 209 Foushee St. as a gathering place designed for women, recently added space in the same building. Founder Ali Greenberg launched The Broad with 2,500 square feet and added 700 on the building’s second floor in late spring. She said the additional square footage allows for flexibility. The new second-floor space, dubbed The Boardroom at The Broad, is available to rent by members and nonmembers of The Broad. Just a few months in, Greenberg said The Broad has grown to more than 200 members, up from 140 at the start. She said members include scientists, startup founders, jewelers, corporate workers and musicians. Memberships range from $75-$150 per month. 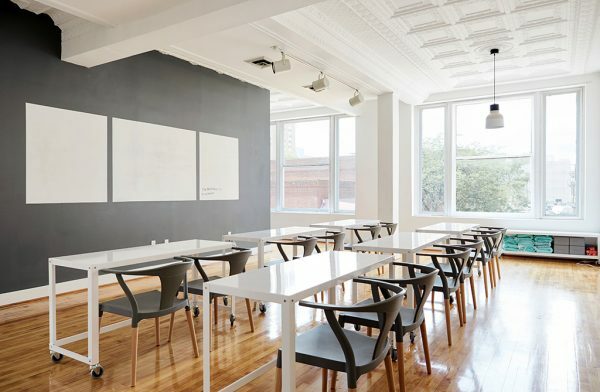 Just east from The Broad, another local co-working brand is preparing to set up shop. 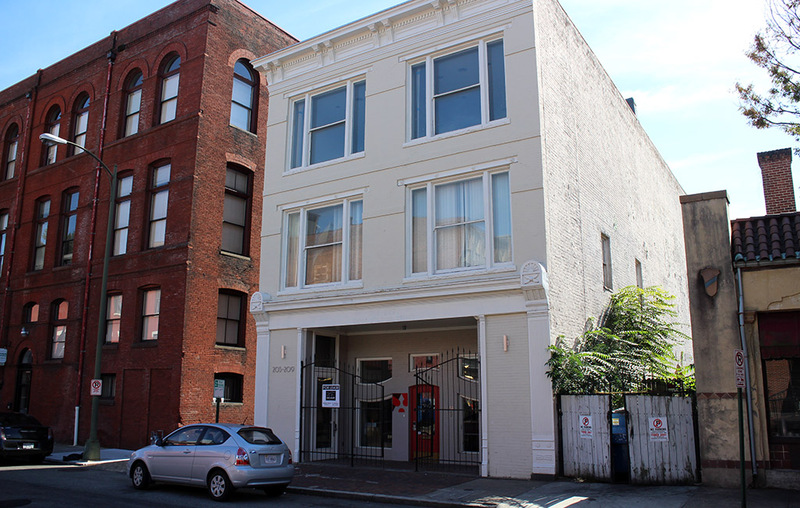 The new Gather location is under construction at 309-315 E. Broad St., and it will replace the company’s downtown outpost at 409 E. Main St.
Down in Shockoe Slip, Chicago-based co-working chain Level Office is preparing to open its first Richmond spot at 11 S. 12th St.
1 Comment on "Woman-centric co-working space expands downtown"
Nothing like a little exclusivity – much needed and overdue. We need more women-only spaces, surely there’s federal grant for that?